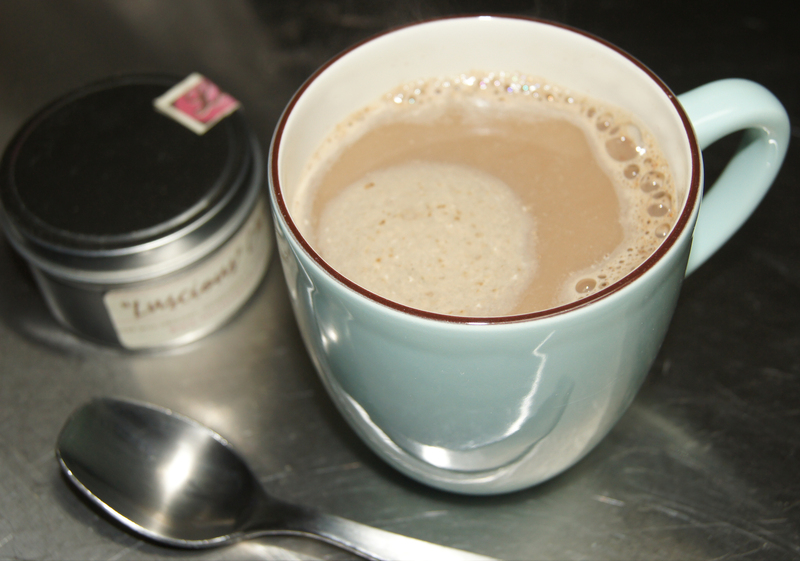 Ginger… Cinnamon… Vanilla…Organic Sugar….Our sweet, spicy chai tea is a snap to mix and soooo delicious to sip. Snuggle up with a hot cup of chai on a chilly day, or have your cabana boy bring you a tall glass of iced chai when things get steamy outside. 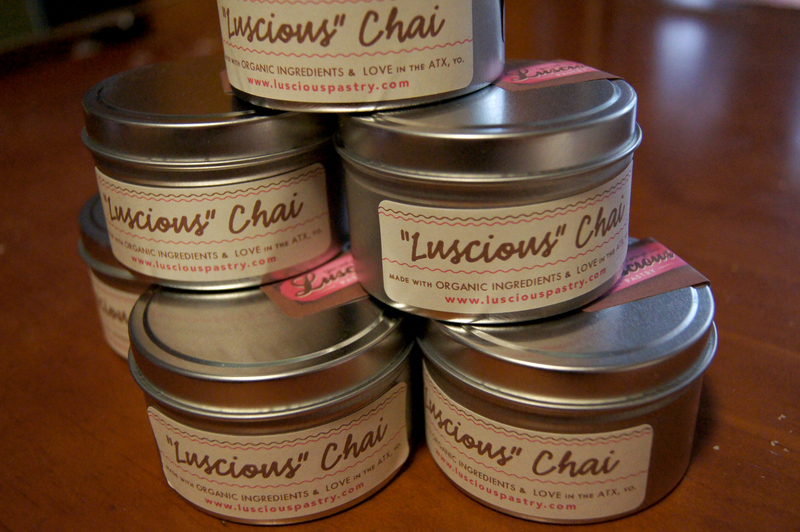 Our pretty tins of Luscious Chai make lovely, original gifts for teachers, bridemaids, and truckers. Well, maybe not truckers. Order your tins at yummy@lusciouspastry.com. We will contact you ASAP to confirm and arrange delivery or shipping. Ask as about wholesale bulk pricing or batches of mini tins for party favors. or as swag bags goodies.